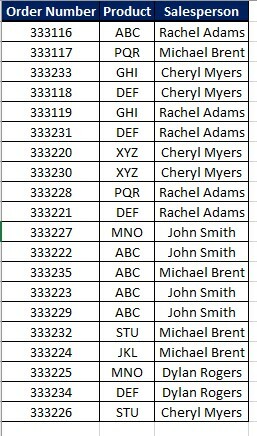 Excel data validation allows you to set specific criteria for the type of data that can be entered into a cell or group of cells. In addition to creating that criteria, you can write a brief message on what can be entered into the cell and error message when the wrong information is entered. As you can see, the only numbers that can be entered are whole numbers between 1 and 10. 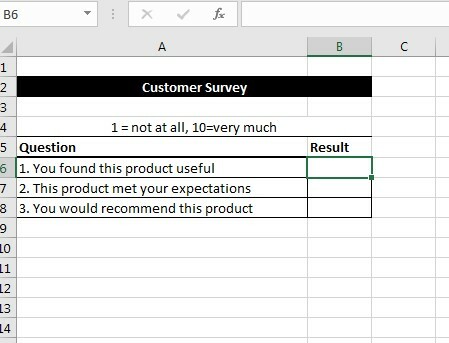 There are a variety of reasons to use Excel data validation and it depends on the situation and problem you’re trying to solve. We here at Learn Excel Now hope you found today’s lesson on Excel data validation useful. 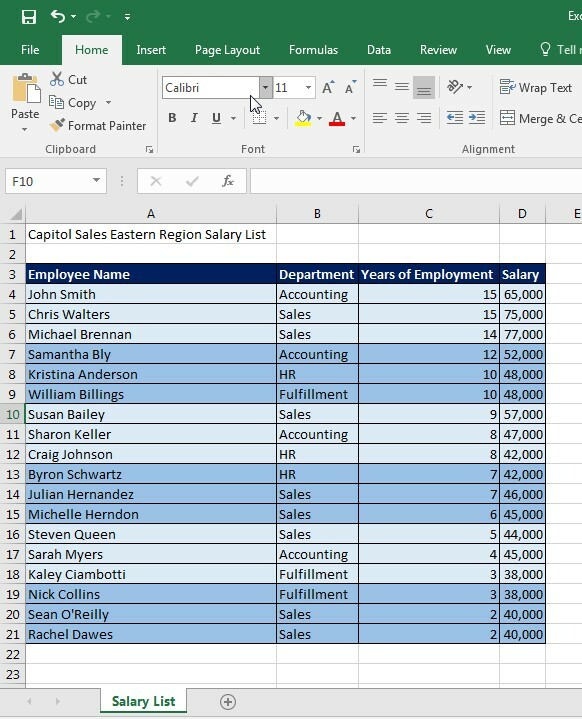 Excel contains tons of built-in tools designed to help you do what you need to. This week we are talking about one of those tools, the robust Find and Replace tool. In the following guide, we will explore how to use this tool and situations where it could be needed. To find something in Excel, you use the simple Find function you use in any other program, Ctrl F. This opens the Find dialogue box where you can enter the text of what you’re looking for. However, Excel contains other built-in options in the dialogue box that allow you to go beyond the simple find function. We will explore those options later in this guide. The important thing to remember is the keyboard combination Ctrl F at the same time. As you can see in the above image, the dialogue box contains a tab that states “Replace.” Once you found the items you are looking for, you can easily replace them using this tool. As you can see in the following GIF, the name is still in the cells, but it has been highlighted yellow. 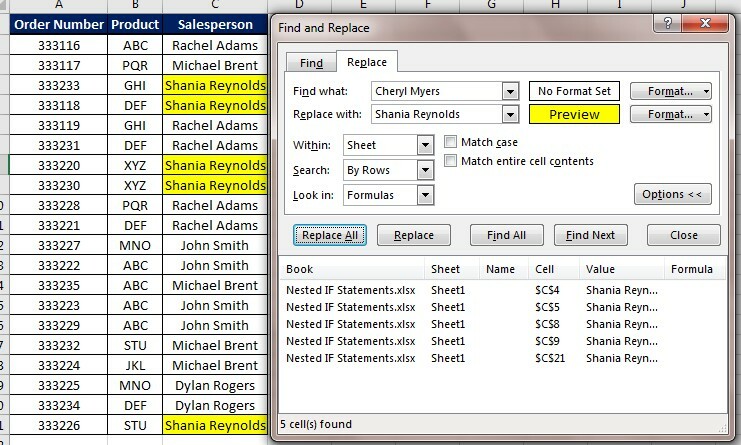 We at Learn Excel Now hope you now feel comfortable using the Find and Replace tool. This tool contains other formatting options to change the cells containing data you found. Using the tool is a matter of personal need, but there are many situations where it comes in handy. There are many built-in Excel tools to help with data management and the sorting and filtering features are among the best. The filter tool gives you the ability to filter a column of data within a table to isolate the key components you need. The sorting tool allows you to sort by date, number, alphabetic order and more. In the following example, we will explore the usage of sorting and filtering and show some advanced sorting techniques. As you can see, the order dates, order numbers, prices, etc. are all out of order. Let’s get started on running some sorting and filtering techniques. The whole table has now adjusted for the sorted column. Note: when the data in one column is related to the data in the remaining columns of the table, you want to select Expand the selection. This will ensure the data in that row carries over with sorted column data. The filter feature applies a drop down menu to each column heading, allowing you to select specific choices to narrow a table. Using the above example, let’s say you wanted to filter your table by Company and Salesperson. 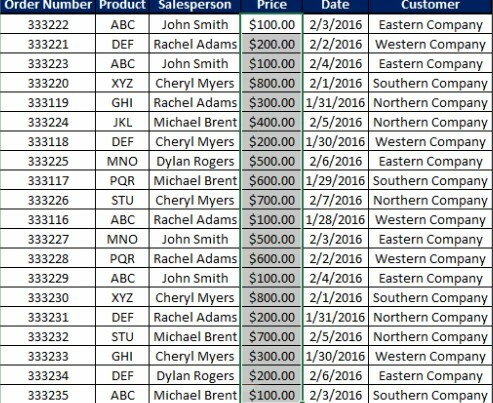 Specifically, you want to find the number of sales Dylan Rogers made to Eastern Company. Boom – you now have the exact number of sales Dylan Rogers made to Eastern Company. In addition to the right-click menu sorting option and the Filter tool on the Data ribbon, Excel has a Sort & Filter tool that allows for custom sorting. In the following GIF, we can see how the Custom Sorting tool can be used to sort date ranges or price ranges. As you can see, Excel offers a variety of sorting and filtering tools to help you refine your data and keep it organized. We hope you found today’s tips useful. Now go out there and get your data sorted! Use Learn Excel Now to help with all your Excel questions and training needs. We’re not just experts in Excel, there is content, free resources, and training courses available for Word, Outlook and more. 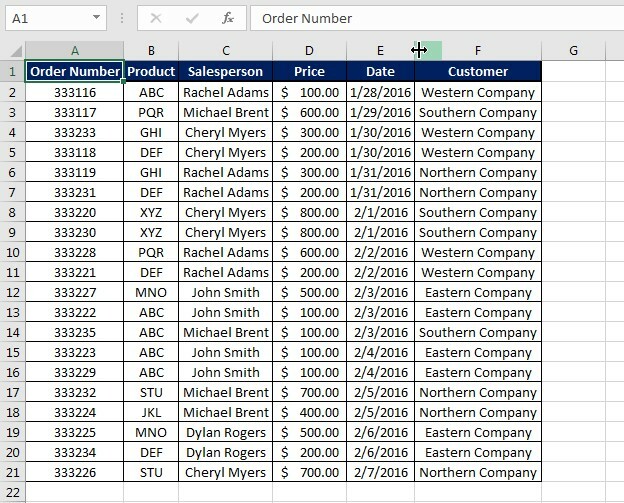 The Excel fill handle is one of the most convenient tools available to enter data quickly and easily. Using the fill handle, you can enter repeating or sequential content across multiple cells at a time. 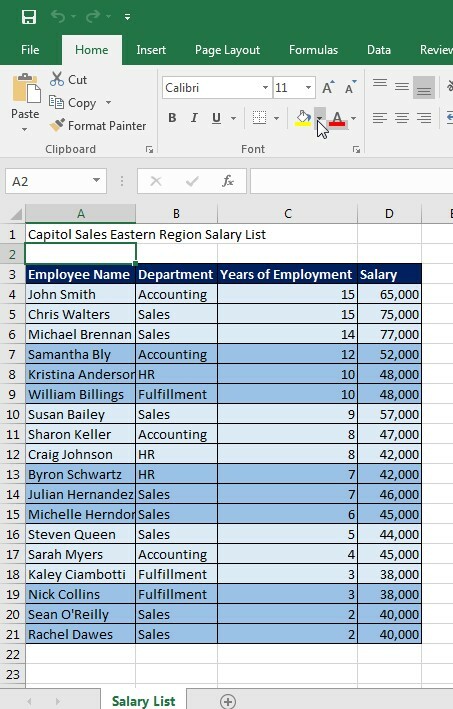 This quick guide will provide you with how to use the fill handle to fill in data on your spreadsheet. Once your cursor shows that icon, you can click and drag the cell horizontally or vertically to fill in the data. The content of the first cell will determine what will be filled in across the other cells. 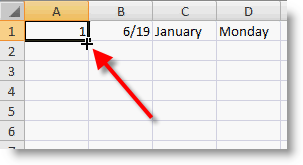 As you can see, the Excel fill handle is an ideal tool to quickly fill in data. We here at Learn Excel Now hope you enjoyed this week’s tips on the Excel Fill Handle. Hopefully this will save you some time as you build your spreadsheets. Like Learn Excel Now? Subscribe above to receive our weekly tips and special offers. Getting Social with Excel – Follow us on social media and share our content with your networks! 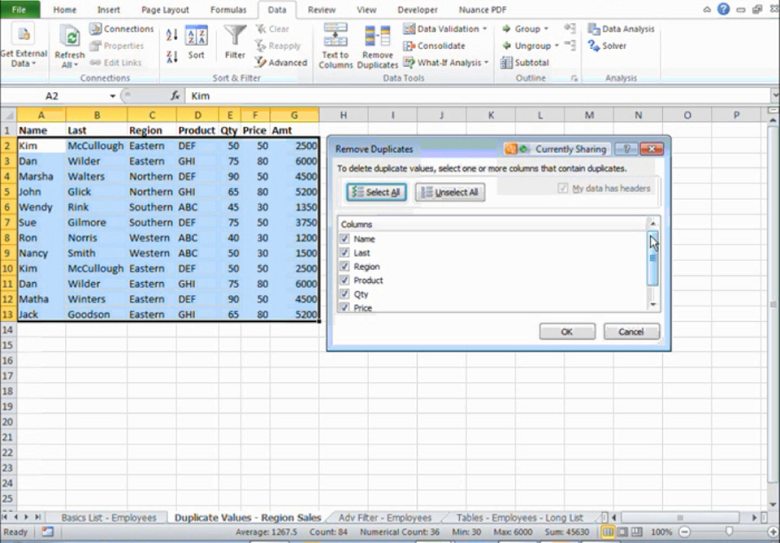 The following article shows you how to use the Excel Merge & Center tool. The spreadsheet software of Microsoft Excel is best known for crunching numbers. This remains the primary reason people use Excel. But often times, you need text to accompany those numbers to make sense of what the numbers mean. 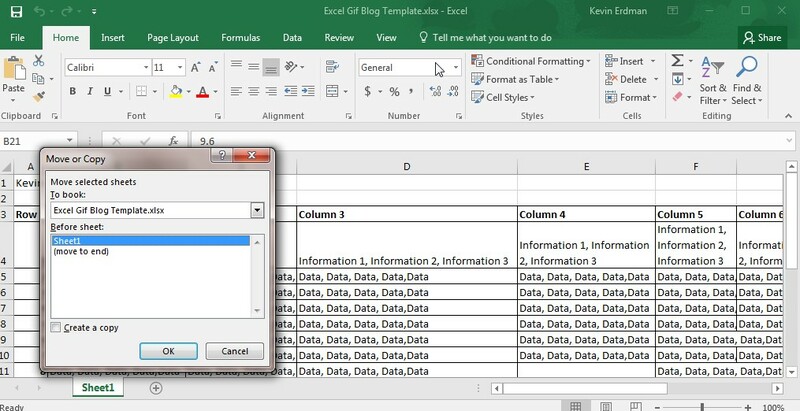 Whether it’s column headings, naming the worksheet itself, itemization or important notes, adding text to Excel is a vital component of making your Excel spreadsheets be professionally viable. Sometimes adding text can create formatting issues. 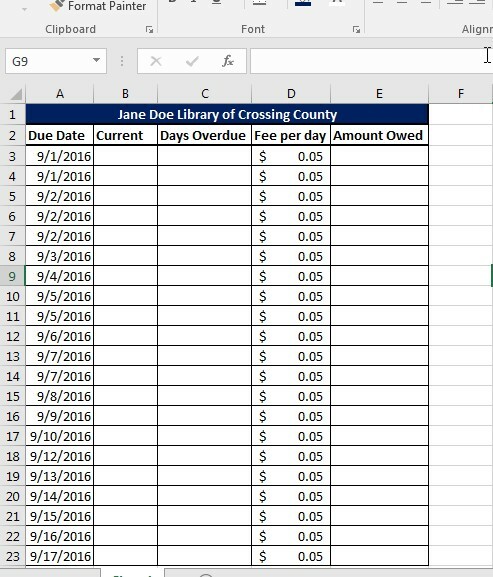 Fortunately, Excel provides formatting options to make your spreadsheet accommodate text without compromising the number formatting. One such tool is the Merge & Center tool. This is perfect for text that runs over multiple cells. Without changing the Excel width or height of the individual cells in a column or row, you can merge all the cells together. The text will also automatically expand. Now, as you can see above, the text for the spreadsheet heading runs the width of the table. But none of the columns or rows containing table data had to adjust. This is now a fixed heading. From there, you can format the color, text size, etc. to get the heading exactly how you want it. We here at Learn Excel Now hope you now feel comfortable using the Excel Merge & Center option. Like Learn Excel Now? Follow us on social media and sign up for the newsletter! Don’t forget to share our tips with your friends and colleagues! You created your ideal worksheet. It’s formatted exactly how you want it. The formulas are in place, the data has been filled in and everything looks amazing. Now, your boss asks you to create the same worksheet but add a few new elements…while retaining the original worksheet. You feel that sudden angst rise up as you think about redoing all of that work over again. There has to be a better way…right? And viola – your copied worksheet is created! Click OK again and boom – you’ve now copied the worksheet to another workbook. We here at Learn Excel Now hope you now feel confident in your ability to copy an Excel worksheet both within the existing workbook and to outside workbooks. This convenient tool allows you to replicate important data and spreadsheets without compromising the original data. Like Learn Excel Now? – Follow us on Social Media and share with your colleagues and friends.